The wedding is a very important and important step in the life of every girl. Hardly anyone would just become the bride and groom. After all, you need to go through a large number of stages of preparation for the wedding. That only is worth the choice of dresses, guests, jewelry, treats for guests and bridesmaids. 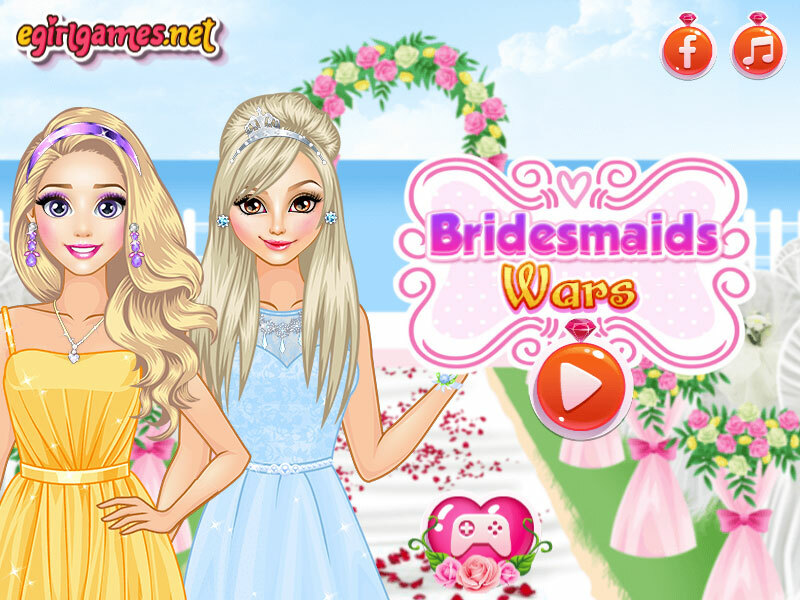 In this Best Bridesmaid Wars game, you can help girls choose wedding dresses so that our celebrities will present themselves as they could be brides. As the game begins, you can select each of the princesses, and then begin to select a wedding image for the ceremony. Cinderella, Elsa, Rapunzel, and Barbie are waiting for you in the game. As soon as you finish the selection of makeup, dresses, hairstyles, and jewelry, you will be able to evaluate your work and rate the princess who looks the best. If you have already played enough with the princesses, then I suggest you play the pony games . In this section on fungirlsgames.net you will find cute and beautiful ponies who are waiting for your attention and choosing a new image for new adventures. Played: 4779. Added: 24-01-2019, 09:43.